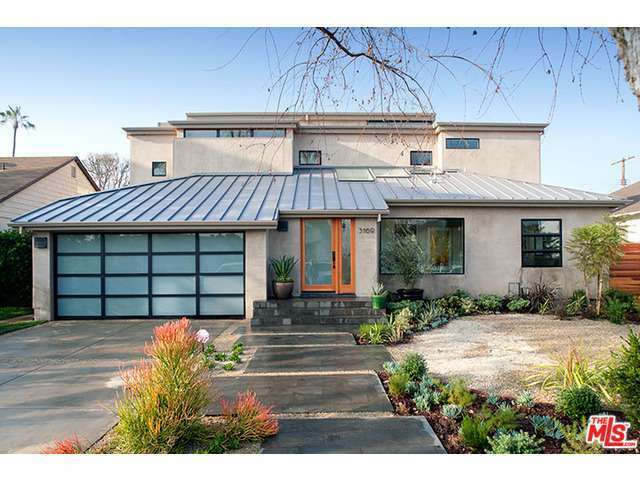 The house is a one-story residence in Mar Vista remodeled to accommodate a larger family. The street facade was kept low to match the scale of the neighborhood. The primary living spaces are located on the first floor where they connect to the gardens and pool. A new second story with a Master and two bedrooms was added that is accessed from a large open "den" that opens to the living spaces below. The "den" serves as a family gathering area with plentiful light and views.